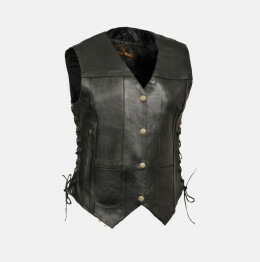 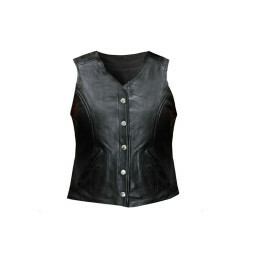 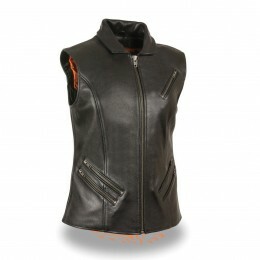 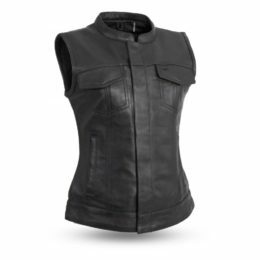 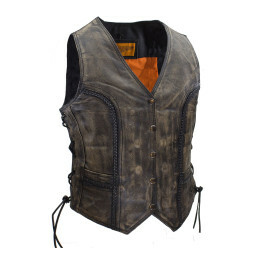 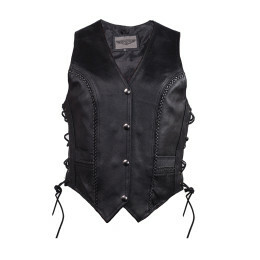 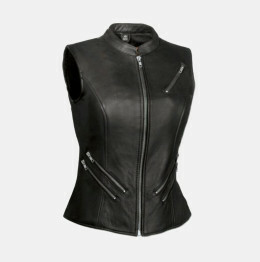 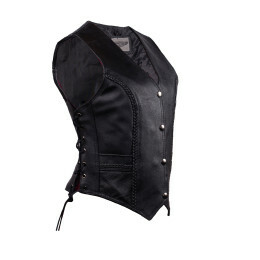 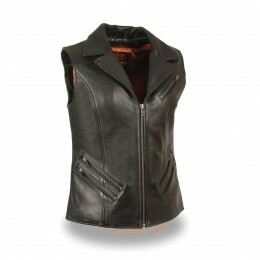 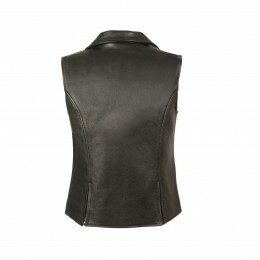 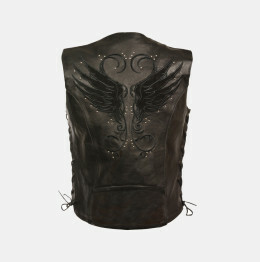 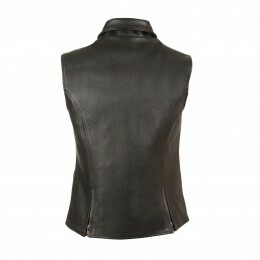 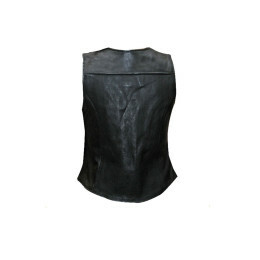 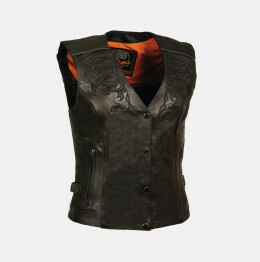 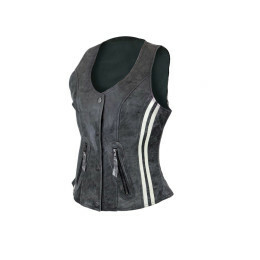 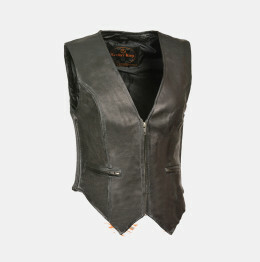 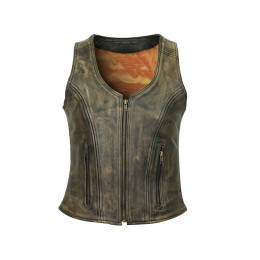 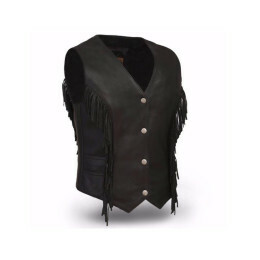 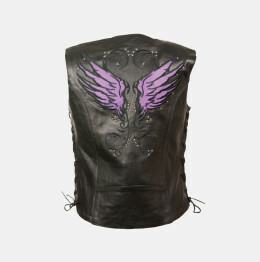 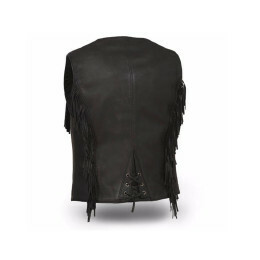 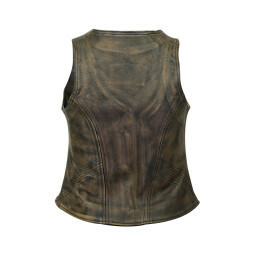 Best Women’s Leather Motorcycle Vest for biker ladies. 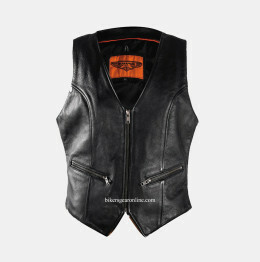 Buy from our online store in very cheap price and enjoy our Free shipping in USA. 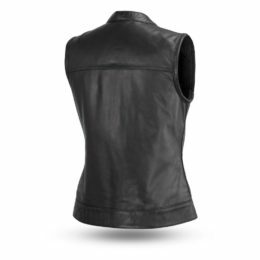 All colors available like Black, Brown, blue, red and other female endorsed colors and styles like vest with zippers, collars or collarless, with gun pockets and women fashion vests. 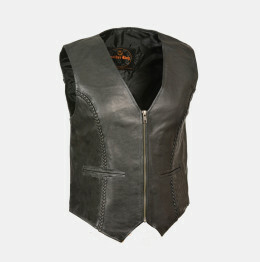 Real leather with quality stitching. 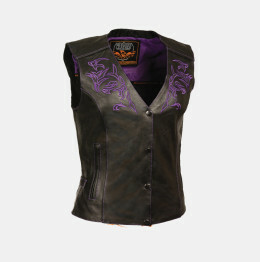 All size available including small and plus size ladies vests.